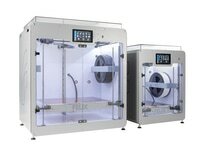 If you cannot connect your printer to the printing software computer, please follow the next steps. Is there is no COM-port displayed in the printer settings, which corresponds to your printer. There is no driver installed yet on your computer. Reinstall the software (Repetier-Host for FELIXprinters) and make sure you have administrator rights. This program contains printer drivers for the Tec and Pro series. If this doesn't work, please follow instructions below to manually install the 3d printer drivers. These board have an arduino MEGA 2560 based control board. They need FTDI Virtual Com port drivers. 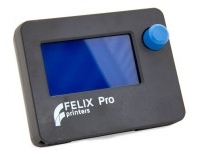 Install Repetier-Host for Felixprinters and the drivers are installed automatically. Special case in windows 10, sometimes the only way for the FTDI driver to install correctly is to update it in device manager. In some cases windows will automatically install the incorrect driver by windows update (named something like USB Converter) and assign a new COM port. The regular Pro series have an arduino Due based control board. For the FELIX pro touch the following drivers are required to connect via USB. For at least Windows 10, the FTDI driver needs to be updated in device manager. Windows will download the new driver (named something like USB Converter) and assign a new COM port. What’s odd, is none of my other Arduino dev boards are having this problem – all using FTDI just fine.